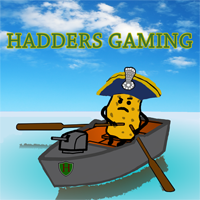 Hadders Gaming WoWs YouTube Channel! The final game of the contest! And what an epic battle it is. Well done the two finalists, this is an absolute corker of a game. My 2 cents, I've experienced AP BB shell fire countless times recently in fairly slim DDs such as the Yugumo and the Shimakazi cause been grinding the line. I take full pen hits with frightening regularity and have even experienced a single hit taking more than 10k health. Now I totally get the 'Git Gud' response from the uninitiated... but I regularly time enemy shots and purposefully turn broadside because that'll mean overpens right? Hahaha, BRUH! They don't.. On the flip side of the above I believe it is wholly unfair when I do the same back! Sailing real casual in my NC or Iowa... "oh look a DD," volley him, turn in, dodge most or ALL of his torpedoes and either SLAM him for most of his health or Dev strike him. With the recent changes to stealth fire as well if a destroyer dares to fire his main armament, EVERY battleship tunes in and gives him a salvo... he's bound to get killed or hard reset which makes DDs more passive. Lack of scouting because smoke is the only way to hide, inability to fire your guns and crazy pens make life for a destroyer a difficult one. Hey guys, sorry for lack of content recently, but as stated life is a BEACH and work is a real thing ;) lol Here is a battle from the latest King of the Sea II tournament. TTT Vs UFR. A varocious fight was had. Hope you all enjoy! 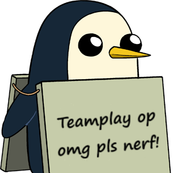 And thanks for the games UFR. They were some great fights! Hey there everyone! In honour of the amazing tournament I have made a little wrap up video Congratulations to the winners, well done everyone that took part and thank you to all the organisers, adjudicators and streamers. May there be many more successful King of the Seas to come.